My friend, Ara Schmidt, created this lawn sign from one of her sidewalk drawings. It's a weird day here in the USA. You may be celebrating. You may be crying. I'm shaken. Whether you are happy or sad about what happened in our election, the world has been turned upside down. It's unsettling when the ground you thought you stood on shifts right under your feet. It's like we all got on a train. We don't know where we're headed. Some of us chose to get on this train and some of us didn't. We all share one fact. The train is moving, and we can't get off. 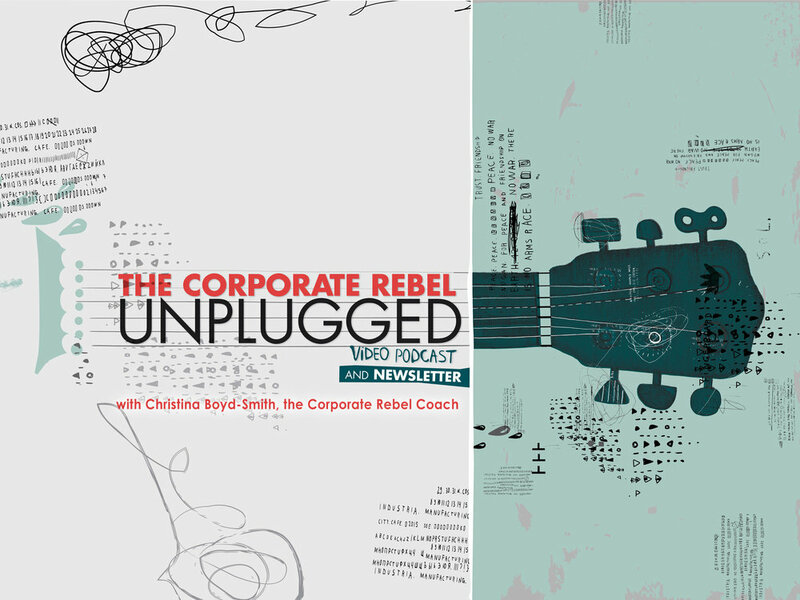 However, as Corporate Rebels we know a thing or two about compassion, choices, leading in hard times, and what it means to do this life and work thing from a place of authenticity, connection, and knowing that things can be different. You don't have to solve everything. You don't even need to be able to see the whole picture clearly - whether that is your work, your life, our nation, or the world. You do, however, have to decide how you are going to behave and who you are going to be during this seismic shift. Will you be curious about the people who disagree with you? Will you smile at the teenage girls in headscarves at the mall? Will you be kind to the barista, even if he gets your coffee order wrong? Will you operate in your life from love rather than fear? Will you get about the crucial work that needs to be done right here, right now in your community? Something important has happened, and it's time for us to be alert. Maybe the solution isn't in our governments or our corporate leaders. Maybe the solution is in each of us. Your world needs your creativity and love now more than ever. You are the light. Go be that light in your world today.